The Willow Creek ranch style home offers over 2000 sq. ft. of living space and features over 500 sq. ft. covered outdoor living space. 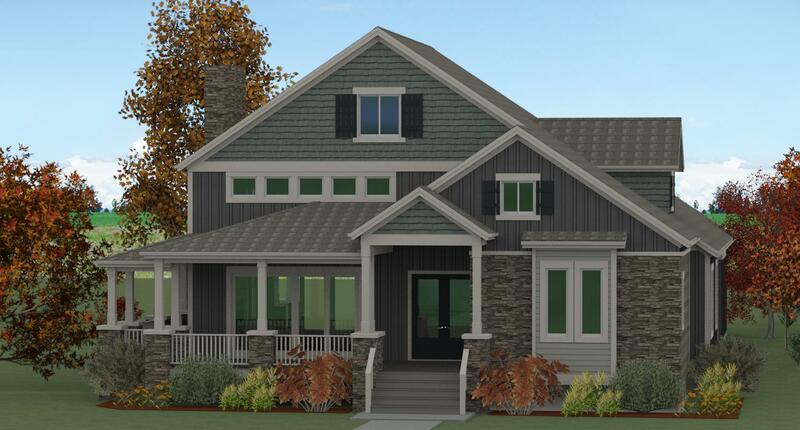 The Willow Creek model features 3 bedrooms, 2 bathrooms, and an over-sized two car garage. The spacious great room, dining room and kitchen with center island create a light-filled open floor plan. 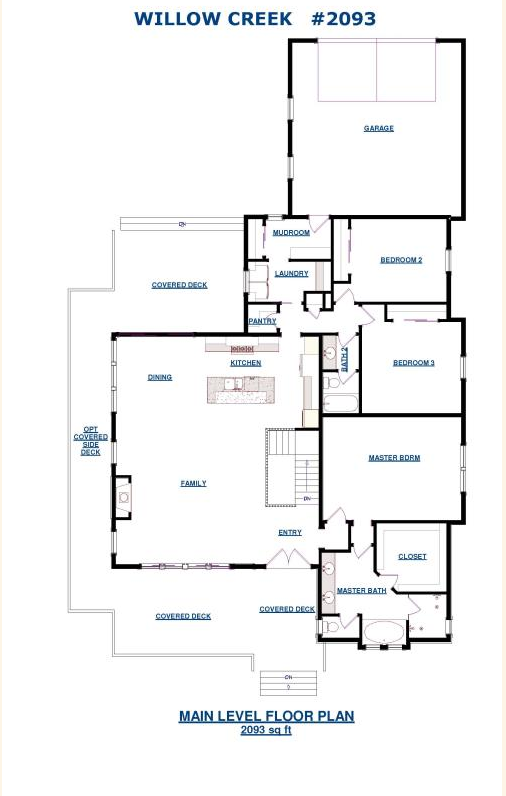 A walk-in pantry, laundry and mud room complete this floor plan. This home has a vaulted entry and family room plus 10 ft. ceilings, and 8 ft. doors throughout. The master suite features an over-sized walk-in closet and a 5-piece master bathroom. Spacious front and back covered decks, optional covered side decks on Estate Models, plus a full unfinished basement give this home lots of indoor and outdoor living space.